The above image was just received from Bill Duckton, our Bluegreenplant reporter who is traveling in the center of the Earth. 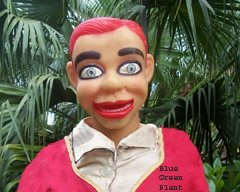 According to the Blue Green Power Plant archivist, Angela Ramos, it is, "So creepy." Nobody can recall any image that was creepier than this one. Oh my God! That is so creepy! I wonder if there is any gold in there. "The answer my friend is blowin' in the wind"
That poem is rather creepy. If I could choose one word to describe that picture it would indeed be "creepy."